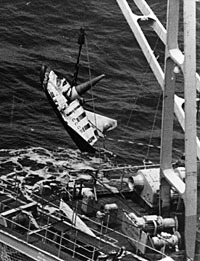 The first recoveries of the "BOR-4" in the Indian Ocean were devoted to the pursuing ships "Cosmonaut Patsaiev" and "Cosmonaut Dobrovolsky". 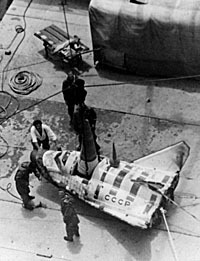 The story of recovery of the 2 first "BOR-4" mock-ups was a hot period of the cold war. The 2 ships "Cosmonaut Patsaiev" and "Cosmonaut Dobrovolsky" sailed away from Petropavlosk in Kamchatka to the direction of the sea landing zone in the Indian Ocean close to the Australians seacoasts. 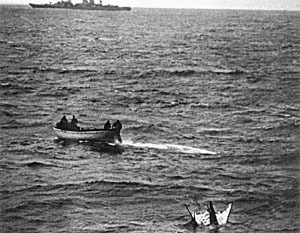 They were joined by the war fleet from the Black Sea directly from the USSR. 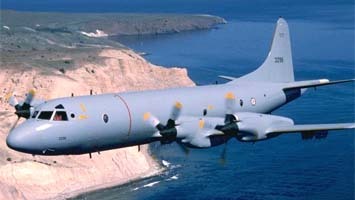 The presence of this war flotilla had warned the Australian navy, the latter sent it a P-3C Orion plane of the Royal Air Australian Force to flight day and night above the Soviet ships. 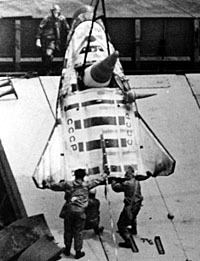 June 3, 1982, "Cosmos-1374" launched a lifting body "BOR-4". The exit of the plasma zone was done only at 4 km of altitude, the parachute opened and it landed on sea carefully. 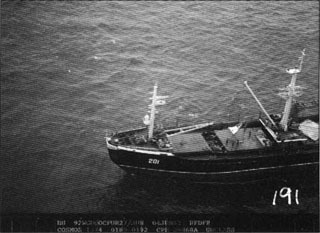 But when the radio transmission started the operators had the nasty surprise to realize that the plane was at 200 km from the ships. Right away all the ships precipitated to it, Soviets and Australians. 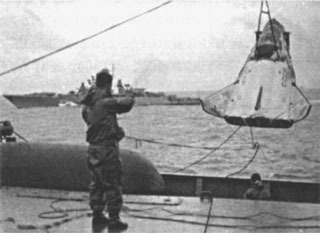 After one day the Soviet ships arriver on the sea landing spot. 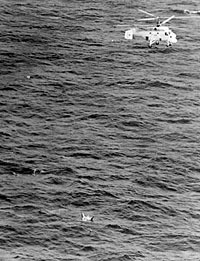 A team of civil specialists leave in rowboat towards the lifting body to defuse the self-destruction system. 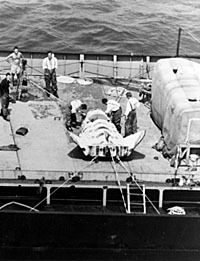 Then the ship approached, always under the observation of Australian, and hoisted on board the "BOR-4". 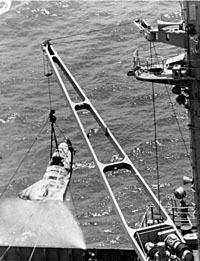 Nevertheless, the Australian ones successfully shoot in detail all the rescue operation. 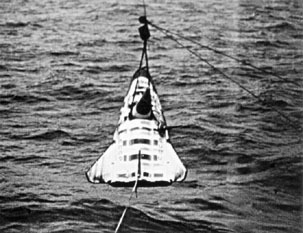 The Soviet participants revealed that Orion flew so low that the swirls of the wings rode almost people down. This is why the photographs made from the Orion are so detailed. The important foreign presence in the zone of recovery obliged Soviet to move it, S. Titov being addressed to VPK; "I find that the probability of interception by American is large, this is why I propose to move the zone of sea landing to the Black Sea". "... I was at the potato drudgery, assisting the cook master. Early in the morning before the beginning of the drudgery was a large tank of waste. We did not want to move it to the dumpster, this is why we poured all by the port-hole. Nobody noticed anything, but during the evening the commander of the flotilla received remonstrances from Moscow. 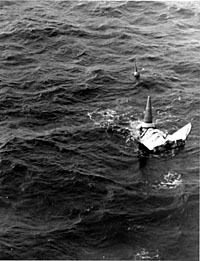 In fact Orion which flew to a few kilometers of the ship had photographed the floating waste one the sea. 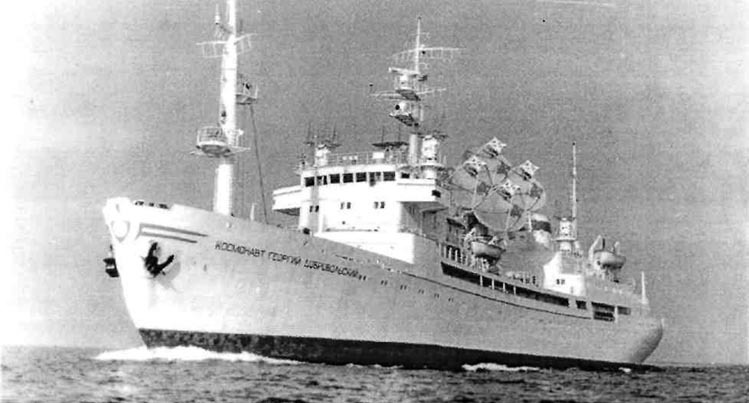 They developed the film and one submits a report with the commander of the military base in Australia by specifying that the Russian ships had rejected to the sea a thing impossible to identify. From Australia the message went to the USA then to Brussels. A protest note left Belgium to Moscow, specifying that it was intolerable that the Russian ships reject substances to the sea. 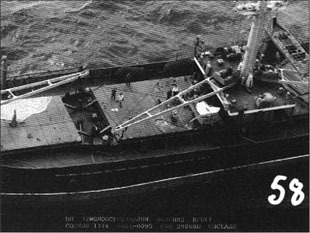 Lastly, Moscow contacted the base of Petropavolsk in Kamchatka and the latter the Tsoumicana ship to order an investigation right away. And all that in one day space." Nobody would have thought that the rejection of a kitchen dustbin would have so much political resonance ! 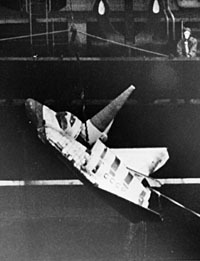 For the second launching, in March 1983, the Australian were prepared, they already knew what they were seeking this is why the photographs are better. Some of these photographs were downgraded by the Australian ministry in April 1983, here are some. 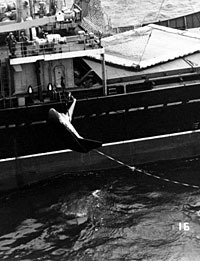 The success of the 2 sea landings in the Indian Ocean showed that the descent was controlled, this is why the next sea landings took place in the Black Sea. Unfortunately, one of the 2 other mock-ups lands on sea too much in the West and was not found. 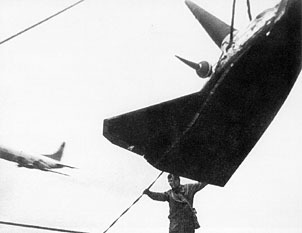 Moreover, to make land "BOR-4" on the Black Sea it obliged the lifting body to pass above some countries of NATO, Great Britain and Western Germany (FRG), at altitudes of 60-80 km, but the official limit to avoid an airspace violation is 100 km, each launchings of "BOR-4" was then predated by long diplomatic negotiations.